Euro is still forming the third structure of another descending wave. 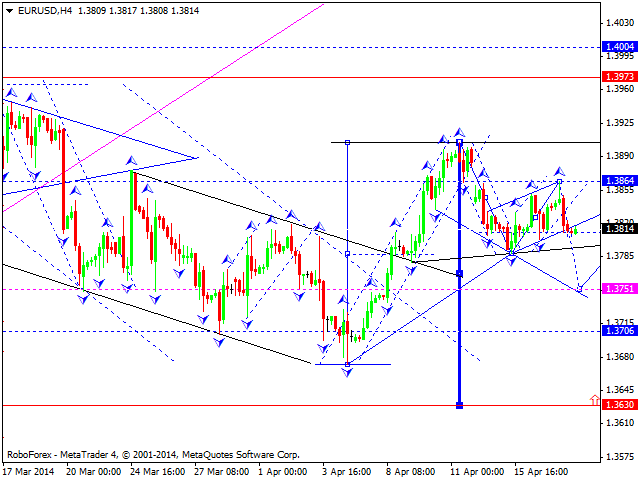 We think, today price may form consolidation channel and then continue falling down towards level of 1.3750. Later, in our opinion, instrument may return to level of 1.3810, thus forming continuation pattern to continue moving downwards. Pound is still consolidating and forming the fifth ascending structure. 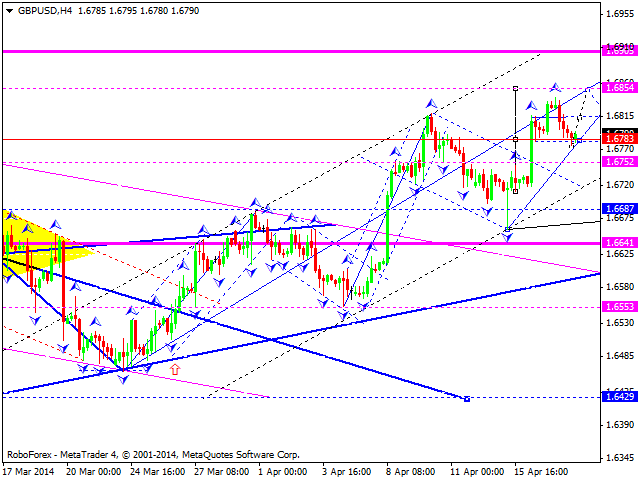 We think, today price may reach new maximums and complete this ascending wave at level of 1.6905. Later, in our opinion, instrument may start more serious correction towards level of 1.6687. 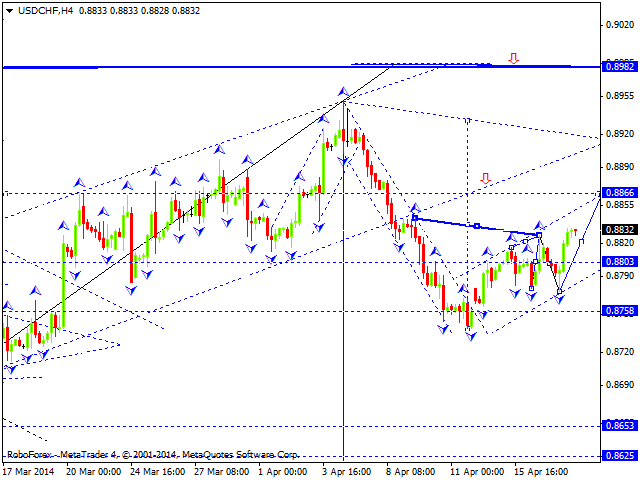 Franc is still consolidating and may form continuation pattern towards level of 0.8865; this correction may be considered as bearish flag pattern. Later, in our opinion, instrument may form another descending structure to reach level of 0.8630. 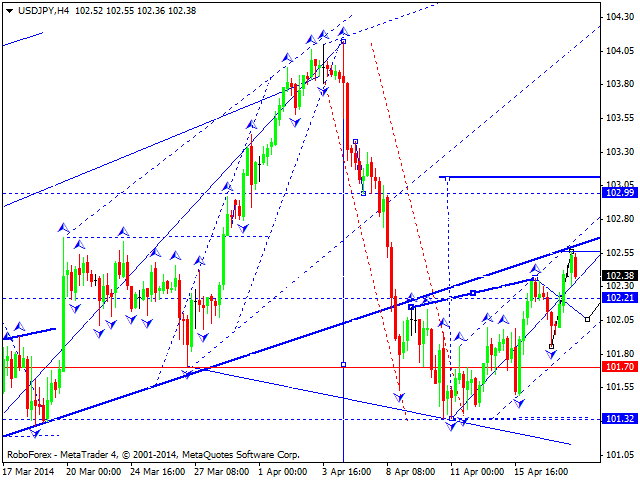 Yen is moving inside ascending structure with target at level of 103.00. We think, today price may form consolidation channel near level of 102.20. Later, in our opinion, instrument may break this channel upwards and continue growing up towards above-mentioned target. 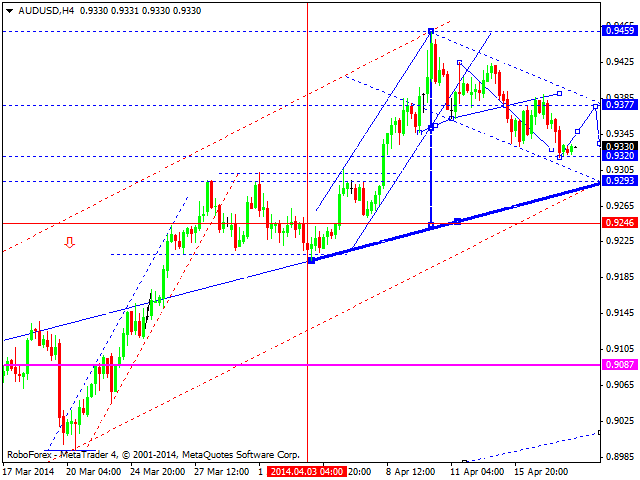 Australian is forming descending structure; market has already reached new minimum. We think, today price may reach level of 0.9377 to test it from below and then start new descending movement towards nest target at level of 0.9293. Market was opened with gap down this morning, and Ruble finished correction towards previous ascending structure. 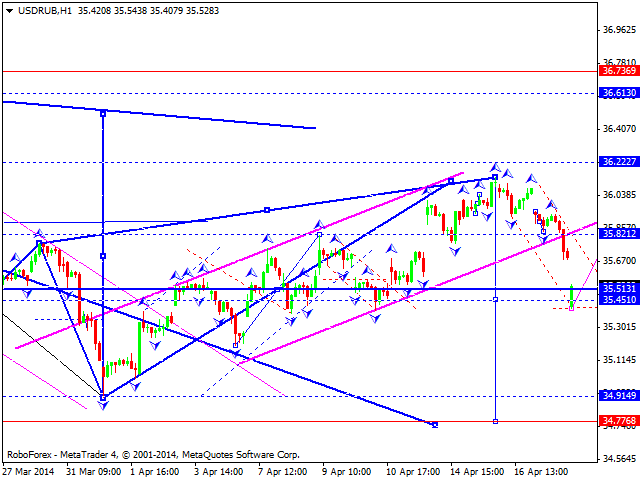 We think, today price may continue falling down towards level of 34.77. Alternative scenario implies that pair may return to level of 35.80 and then continue growing up to reach level of 36.60. Gold is still being corrected. 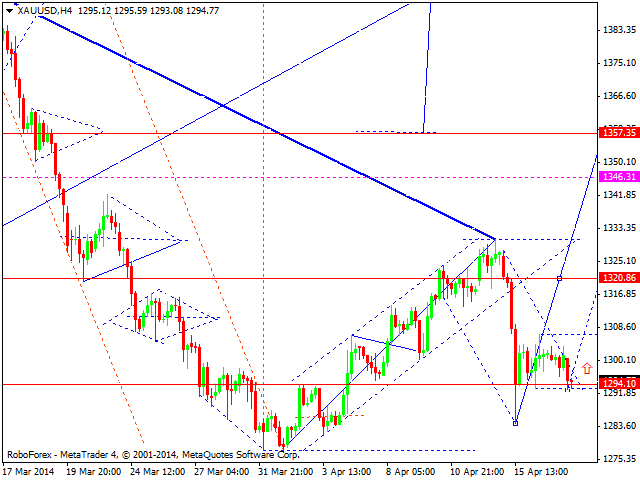 We think, today price may form another ascending structure towards level of 1357. Later, in our opinion, instrument may start consolidating and form continuation pattern.